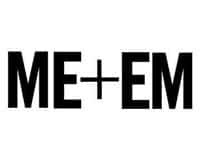 Meandem.com is the official website and online store of Me+Em. The company deals in contemporary apparel for women. The fashion brand sells casuals, smart tops, stylish dresses, knitwear, cashmere, jackets, coats, shirts, blouses, t-shirts, jumpsuits, trousers, skirts, denims, loungewear and holidaywear. Women can also shop for accessories such as cashmere scarves, leather bags and jewelry. Shoppers can sign up for their emailing list to receive exclusive offers and a straight 15% discount on the first order. There are free returns for customers in the UK. The company offers hassle free returns and exchanges. There is a size guide on the site and plenty of styling videos for reference.